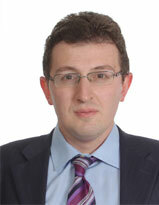 Lazaros Grigoriadis is a lecturer in commercial law, at Neapolis University Pafos. He graduated from the Faculty of Law of Aristotle University of Thessaloniki (2005). He holds a Master degree (2007) and a PhD degree (2012) in Commercial and Business Law from the same university. From 2007 until 2008, he was a Scientific Assistant, as a Dimitrios Evrigenis scholar, at the Centre of International and European Economic Law (CIEEL), Thessaloniki, Greece. From 2008 until 2012, he was a Scientific Assistant at the Faculty of Law, Department of Commercial and Economic Law of Aristotle University of Thessaloniki. During his studies, he awarded scholarships from Greek State Scholarships Foundation (IKY), “Alexandros S. Onasis” Foundation, and “A. C. Leventis” Foundation. His PhD thesis was exceptionally accepted for publication by Springer International Publishing. He has published many articles in Greek, European, as well as US legal journals. His monograph and articles have been referenced by both the domestic and the international scientific community. He has been a speaker at training seminars for judges and prosecutors in Greece and in Cyprus. Moreover, he has made speeches in Greek and in English in the areas of his specialization at Universities of Greece, Cyprus, and other countries.